This awesome Paw Patrol Ultimate Rescue Fire truck extends to over two feet tall, and has a working siren, and movable ladder! Comes with (1) Marshall figure. This is in stock online and ships free. Shop Here! 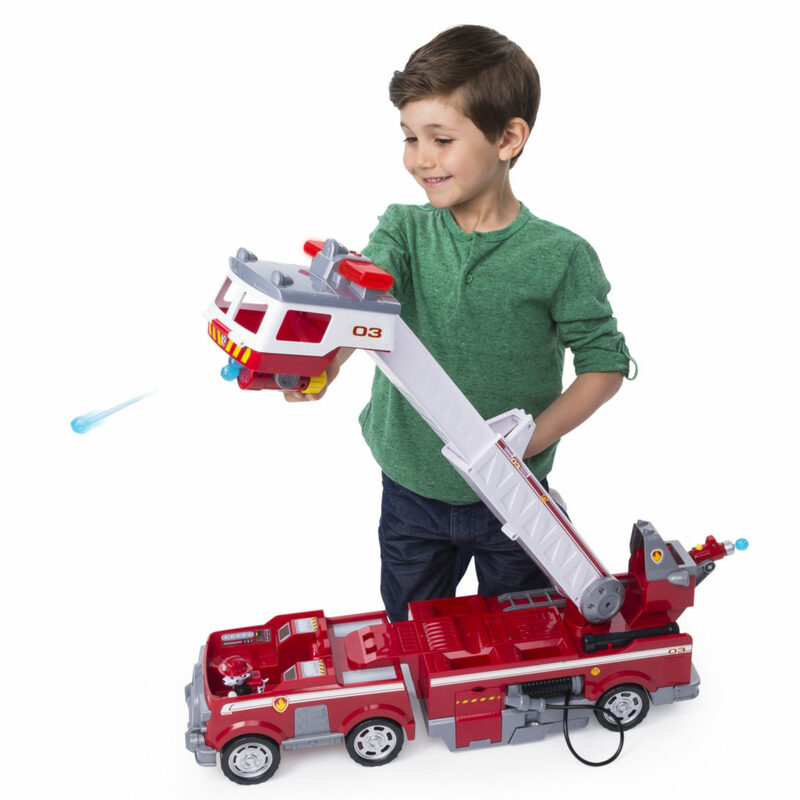 FIRE TRUCK TOY: Save the day with Marshalls Ultimate Rescue Fire Truck! Equipped with a 2 ft. tall extendable ladder, mini fire cart, light and sounds, this fire truck is ready for action-packed missions! The Ultimate Rescue Fire Truck is a great gift for son, daughter, grandson, granddaughter, nephew, or any special kid in your life thats aged 3+ or a fan of Paw Patrol! Requires 2 AAA batteries (included). Collect all the Ultimate Rescue vehicles and go on exciting new adventures with the PAW Patrol!